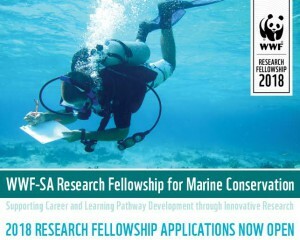 Graduates with an Honours degree in or related to marine conservation and science and a keen interest in pursuing Masters research that aligns to and contributes to WWF-SA’s goals for marine conservation are invited to apply for the 2018 Research Fellowship in Marine Conservation. The WWF-SA Research Fellowship Programme supports learning pathway and career development for improved environmental governance through a bursary award for post graduate studies and association and networking within key communities of practice. Networking within key communities of practice for marine science and conservation. supervisory support and endorsement from the institution with which you will/are register(ed). To apply for the WWF-SA Research Fellowship for Marine Conservation complete the application form and submit it, together with the required supporting documentation and endorsements, to WWF-SA by Friday, 16 February 2018. Successful candidates will be advised by Friday, 2 March 2016. A ranger is, by definition, “a keeper of park, forest or area of countryside.” Marine rangers then, are the keepers of the sea. 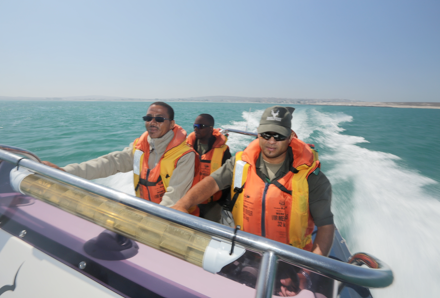 In SANParks, they are employed to take care of and protect the various Marine Protected Areas (MPAs) under the management of the organisation. It’s no mean feat, as the marine rangers of the West Coast National Park can attest. “We have a young team, but we are good,” says WCNP Marine Section Ranger William Brink. They originally started with four, but have since grown to include nine permanent members. Among them, they keep check on the West Coast National Park MPA, an awe-inspiring mix of different habitats and related challenges. There is, firstly, the world-renowned Langebaan Lagoon which is divided into three sections. In the Controlled Zone, marked as Zone A, recreational fishing and power boating are allowed. Non-power driven vessels for sailing and canoeing are allowed in the restricted Zone B but no fishing. No activities at all are allowed in Zone C, protected as a sanctuary. The MPA further extends to the coastline along Sixteen Mile Beach where no fishing is allowed from the shore. MPAs are also in place around the four islands under WCNP management, namely Malgas, Jutten, Schaapen and Marcus islands. Along the shores of the islands, no fishing or diving is allowed. But there’s never much time for chatting with this team. Next, they dart off to check boating licenses at the dock. This day was quiet, but once the season starts picking up, it gets frantic. “In peak season there can be 300 to 400 boats on the lagoon,” says Brink. Their busiest time of the year starts now, in September, and runs until April. Then, it’s time for a quick tea break. This is kept to 15 minutes, as the sea is already beckoning. Today we’re going to Malgas Island to pick up rangers who have been on the island for two days. They tackle the ocean full-speed ahead, bumping over waves with the Atlantic nipping at your face. It’s no yacht ride, but it is awesome. 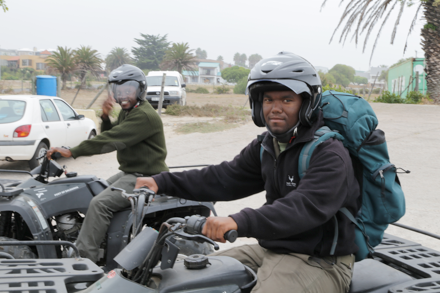 Rangers are stationed at the island for tasks such as bird counts and checking for any transgressions such as poaching. “In general, we’re not seeing as many cases of abalone poaching anymore, but we often find illegal bait collecting or people transgressing bag limits,” says Kelly. From Malgas, it’s a quick ride past Bird Island, before heading to the Langebaan Lagoon. On the way, the rangers check boat permits, fishing licenses and bag limits, cautioning canoeists for not wearing life jackets along the way. Then, we’re whizzing back to the A zone, then to B. “There are 10 commercial fishing permits allocated, and 28 people that can fish per permit,” says Kelly. So the rangers have to check that people stay and fish in the correct zone. The job of a marine ranger requires long hours, hard and physical work, and sometimes brining people to book. It’s not easy but, it is clear that the WCNP marine team loves it. In fact, for them, this job is a “privilege,” says Kelly and, as long as they are keeping an eye on it, this marine area will be kept in place for all future generations to enjoy. The Knysna Estuary and associated wetlands is the most ecologically important estuary in the country. According to several scientific studies relating to birds, fish and plants, it ranks higher than all other estuaries in terms of its natural importance. It hosts 43% of all of South Africa’s estuarine natural life – all the more incredible, because the Knysna estuary is just 1 800 hectares in size. The sea grass meadows around Leisure Isle, for example, support over 90% of the species occurring in the whole estuarine bay. The sea grass in Knysna also supports a number of high-profile rarities (besides the well-known sea-horse) including various small snails and sea-slugs for which it is the only known place in Africa south of the Sahara where they occur. It’s then perhaps of little surprise that unfamiliar things still sometimes emerge. This happened recently when a citizen brought Garden Route National Park rangers an unknown creature found in the estuary. 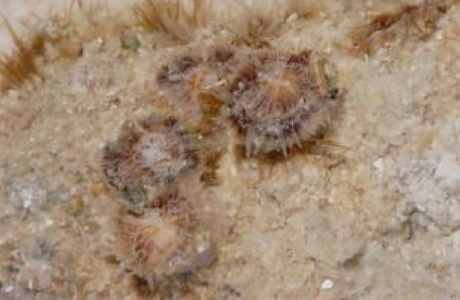 After referring to the Marine Guide booklet (two oceans), it was identified as an Argonauta argo. Commonly referred to as a paper nautilus or Greater Argonaut, it’s a type of pelagic octopus belonging to the genus Argonauta. Pelagic refers to a certain zone of ocean or in this case, a zone in the estuary. All argonauts create a paper-thin eggcase that coils around the octopus, similar to molluscs in their shells – hence the name of paper nautilus. According to the Marine Guide Booklet, “the Chinese name for this species translates into ‘white sea-horse’s nest.” Males of this species grow up to eight millimeters whilst females mature at about double the size, although they can grow up to 100 mm. Males do not exceed 20 mm. Its paper-thin shells are treasured by beach-goers. It slipped in like a thief at night, hiding amongst our very own barnacles on the rocky shoreline. With these stealthy skills, nobody took notice of the Pacific acorn barnacle (Balanus glandula). While they first appeared on South Africa’s west coast, speculations are rife about their presence. It might have been from an action as innocent as a freight ship getting rid of bulge water from the Pacific Ocean. In their larval form, they would go by unnoticed. The invasion became evident in 2007 and in the last nine years, they have extended their 400km range by a further 150km. These barnacles now occur in both the West Coast National Park and the Table Mountain National Park. Researchers are now hoping to get a better understanding on why they are thriving in our waters from Lambert’s Bay to St James near Muizenberg. “It is difficult to determine what caused them to spread around Cape Point, as conditions are much different from that at home,” says Dr Tammy Robinson researcher at the Centre for Invasion Biology at Stellenbosch University. In this case it seems like a lack of predators may have enabled this spread. 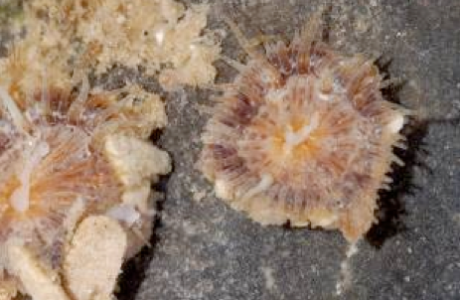 Recently, Robinson and her team discovered that the whelks (marine snails) that feed on barnacles mostly prefer the indigenous barnacle Notomegabalanus algicolas. The invader has a thick shell, making it difficult to get to the flesh. She says that South African barnacles are very unpredictable and numbers differ significantly annually, but there are definitely much less of them around. “We can’t say if numbers are low because of the invader, but it is a cause for concern.” At this stage it is unfortunately too late to do anything. The invasive species can’t be removed from the rocks without damaging our own species. While the functionality of the system is still the same, it differs ecologically because of the different species now present. In their natural home range, starfish and crabs would eat them, but in our waters, these large predators don’t occur in the intertidal zone where the barnacles are found. 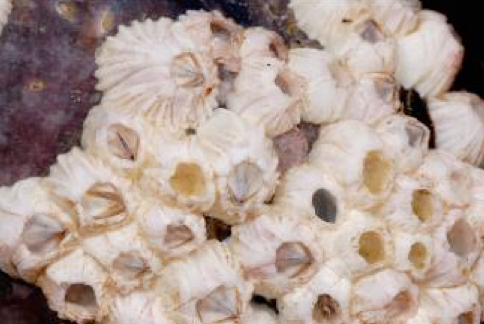 Through observations, researchers have realized that our whelks, although they could eat the invader, prefer the indigenous species if they are given the option. They are difficult to differentiate from our own species, especially if you are not trained. The intruder looks very similar to those already growing along our coast. The easiest method to distinguish the Pacific acorn barnacle is by removing it from the surface. Because of the platelet that stick to objects, they leave a little calcium spot behind. Local species stick their flesh directly to a surface. Robinson says that through their work they have realized the importance of a combination of field work with field and laboratory experiments. While it remains difficult to determine the impact of the invasion, ongoing monitoring remains the only answer and will hopefully provide more answers in the future. A barnacle is an arthropod related to crabs and lobsters, although they are easily confused with mollusks because of their outer shell. They can’t move on their own and permanently attach themselves to surfaces. In juvenile form, they are free-floating larvae. 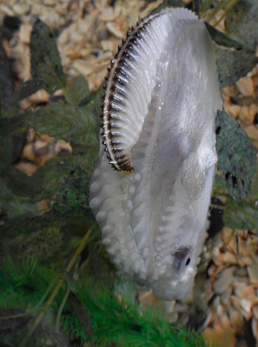 As filter feeders, they feed on food particles that they strain out of the water. The MPA Forum releases a quarterly newsletter as well as frequent updates containing marine news. Click below to download our latest newsletter.